During one of my many trips through central Portugal, I was able to take this detailed picture of a stork couple in their nest. Did you also notice the white storks nesting in the tall trees, chimneys and poles? Also the stork feels at home in Portugal! Cegonha is stork in Portuguese, which is not much different from the official name of the white stork: Ciconia. Their nests are often very large and may be used for many years. Some nests have been known to grow to over two metres (six feet) in diameter and about three metres (ten feet) in depth. 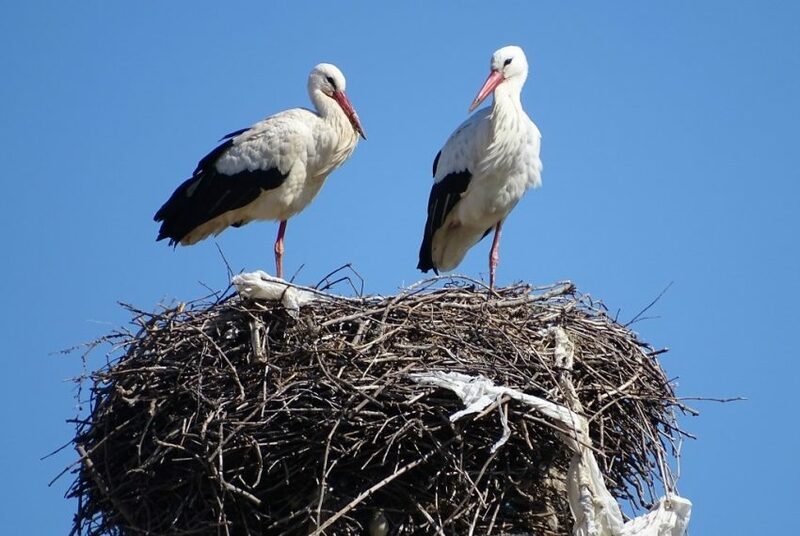 The white stork is famous for building its large stick nests on top of buildings and other structures when suitable trees are unavailable. In the Spring, female storks lay 2 – 5 chalky-white eggs. Eggs hatch after 33 – 34 days of incubation. 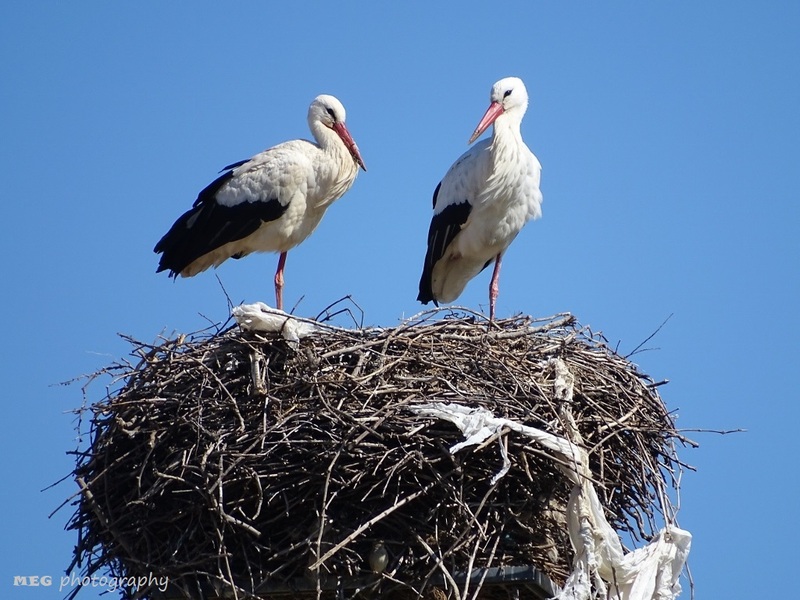 Who has been in the city Castelo Branco, must have seen the storks proudly sitting in their nests on the immensely tall chimneys. And proud they can feel, because they are treated like royals. In the beginning of 2018, a big and costly renovation project was executed to maintain the chimneys of Castelo Branco. This institute of Nature Conservation and Forests had to approve this project and an operation to relocate the stork babies had to be accompanied by this institute. 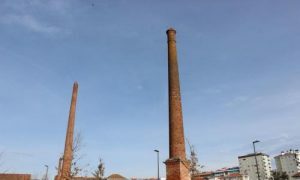 It was discussed in the local newspapers and during the renovation works, the municipality placed the nest platforms close to the chimneys in order to keep the storks ´the icons of the city´ in Castelo Branco.